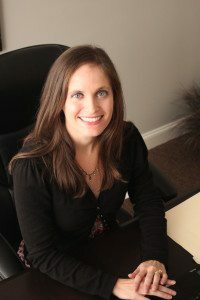 As a Professional Plan Consultant™ (PPC™), Shanna serves retirement plan clients. She helps to provide the best in customer service and a more complete experience to PMD Advisory’s clients. Her focus is on retirement plans, which includes maintaining the firm’s corporate governance system, providing day to day operational support, and working closely with the management team. A member of the PMD Advisory team since 2010, Shanna possesses in-depth knowledge in systems and administration. Shanna graduated from University of Alabama at Birmingham with a bachelor’s degree in finance. To better serve our clients she holds FINRA Series 6, 63, and 65 licenses. Her PPC™ certification gives Shanna enhanced knowledge and experience with retirement plans. Shanna and her husband, John, are active members of Northpark Baptist Church. They serve as resource parents for the Big Oak Girls’ Ranch, helping children grow into responsible adults. Her other philanthropic passion is Serving You Ministries, where she volunteers on Wednesday afternoons to assist disadvantaged people with food, clothing, and utility bills.